Nede is a new brand restaurant in the heart of Dublin. They work with just local ingredients and their concept was to create a simple menu but with great flavour. For this business card design I went for a clean design with just one image. 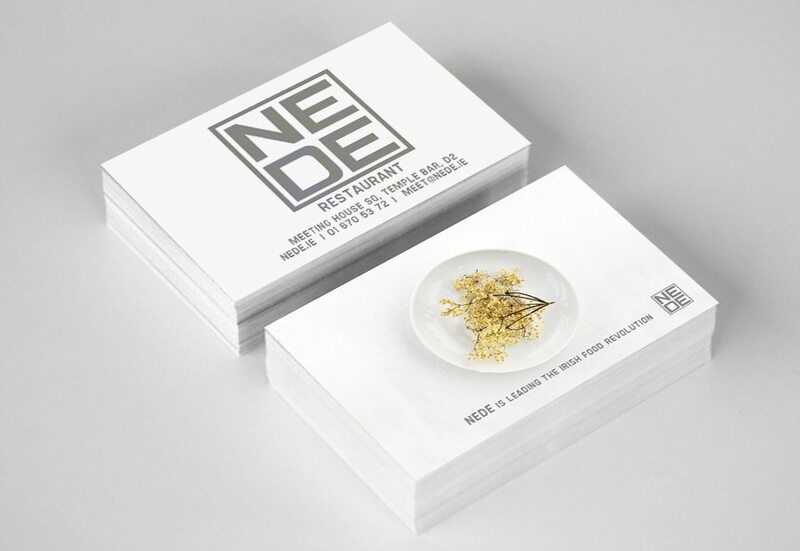 It is simple in design but it is very strong in meaning and embodies what the NEDE philosophy is all about.